Our dear friend, Al Buck, passed away peacefully on September 25, 2017. Al was a loyal and generous member for over 15 years. He loved to volunteer too, serving on our Lands Committee and Trustee Council, and as a monthly office volunteer, getting our renewal letters out every month. Al was an energetic, enthusiastic, and cheerful centenarian. He holds a special place in our hearts. Al will be missed by all who had the pleasure of knowing him. Al spent most of his life working for the Department of the Interior. When the Federal government established the Land and Water Conservation Fund in 1964, Al was asked to lead it. Over 40,000 conservation projects have been funded since then. When the Wild and Scenic Rivers Act was passed in 1968 and they needed someone to implement it across our country, they chose Al Buck. Al is responsible for over 11,000 miles of wild and scenic rivers protected across our great land. When Al realized that SOLC needed more staff to fulfill its mission, he stepped forward and funded the first Land Steward position, bringing Su Rolle onto the team. Al continued to fund staff and special projects. In addition to being a Landmark member, Al was a Legacy member through his planned giving. Al graduated from the University of Pittsburgh. A World War II Army veteran, he was a Master Sergeant in the 29th Infantry Division, 227th Field Artillery Battalion, and fought in the Normandy campaign. He had a life-long passion for protecting open space. Whether hunting in the fields and forests or fishing in the lakes and rivers, he passed on his love of the outdoors to all around him. He is survived by his sister, Jimmy; son Jim (Eagle Point, OR) and daughter-in-law, Jean; and his grandchildren and great-grandchildren. 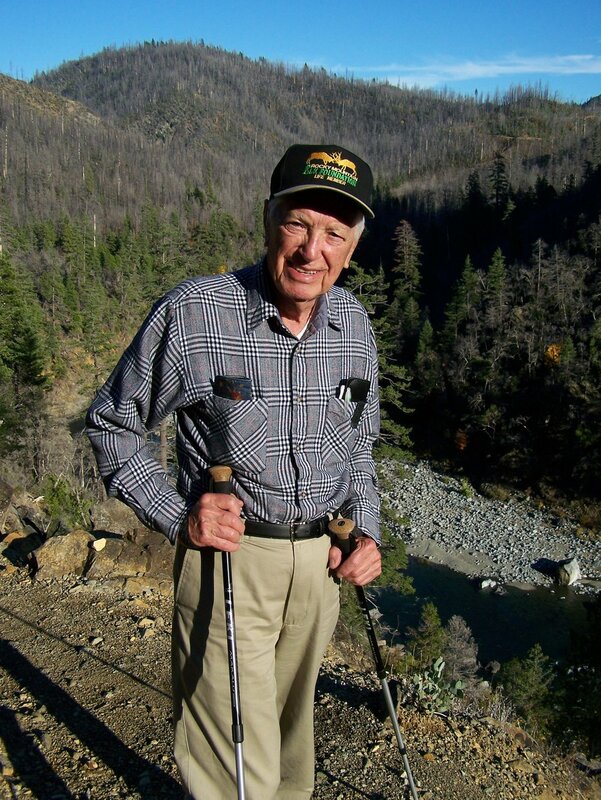 In lieu of flowers, the family suggests a donation in Al’s memory to the Southern Oregon Land Conservancy.